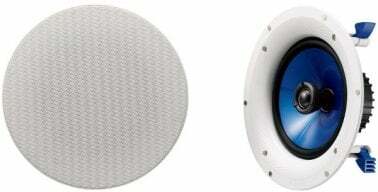 The Yamaha NSIC800 In Ceiling Speakers, with a sleek and urban design they blend in nicely with the ceiling. They can add a touch of style to your room. The Yamaha NSIC800 delivers high sound quality and can be installed quickly and seamless.